Police officers and social workers have a long-standing history of working together to ensure the safety of communities and their residents. The discipline of social service has become a necessary aspect of community policing, as police officers do much more than enforce laws and fight crime. They assist in maintaining the welfare of citizens by monitoring community health and safety issues and intervening on a social level. For instance, the opioid epidemic in particular has caused law enforcement officers around the nation to have a hands-on involvement in the lives of those affected by the crisis: officers often strive to provide treatment resources to those looking to overcome opioid addiction, teach citizens and youth about the dangers of opiates, and help families cope with the destruction and loss caused by the epidemic. Police officers have traditionally worked with social workers and provided social services themselves as part of their regular responsibilities. A large part of community policing involves coordination between police departments and skilled social workers to prevent and intervene against epidemics and other issues detrimental to the peace and safety of community residents. In the United States, police officers throughout history have provided social services, such as health services, tax collection, garbage cleanup, and probation duties, in addition to law enforcement. The Law Enforcement Assistance Administration (LEAA), established in 1968, funded urban police departments’ hiring of trained social workers to assist police officers in helping people with a variety of social problems and conditions. When the funding ran out in 1982, the role of a police social worker diminished, and police officers’ duties again expanded. Implementing social service work in police departments is challenging because of the perceived role of a police officer. Many officers perceive their main function to be law enforcement and crime prevention. The majority of police academy training focuses on crime fighting, criminal law, defensive tactics, and weaponry skills; however, many of police officers’ day-to-day tasks are related to social services. Police officers spend the majority of their time on the job resolving conflicts, responding to family disputes, and providing other services to community residents. In order to improve the social work skills of police officers, law enforcement academies and police departments must include social services as part of their training programs. Communication, mediation, conflict resolution, intervention strategies, and how to recognize signs of mental illness and drug addiction are a few of the topics that training programs must emphasize to prepare police officers for the social work aspect of their job. For example, a thorough understanding of the network of mental health services within a community will aid police officers in providing mentally ill residents with the support they need to function in society and keep them out of the criminal justice system. As police departments are the first line of state and local law enforcement, they perform a variety of social service functions in order to keep community residents safe. Police departments sometimes need assistance with social services, and when adequate funding is available, they hire trained social workers to address these issues. Police social workers are civilians employed to assist police officers in providing social services as part of community policing. These workers often attend police staff meetings, provide professional insight into effective strategies for managing certain cases, such as mental health and drug addiction, and recommend which types of intervention will see the best results. They work directly with victims and families within communities in need of crisis intervention by helping to define the problem, examining options, and creating a safety plan. Police social workers also serve as expert witnesses, most often in family court proceedings. Another critical part of a police social worker’s role is training police officers in social work engagement techniques. These include victim counseling, stabilization and de-escalation techniques, skills for communicating with abused children and mentally ill victims, stress management, and community resource identification. 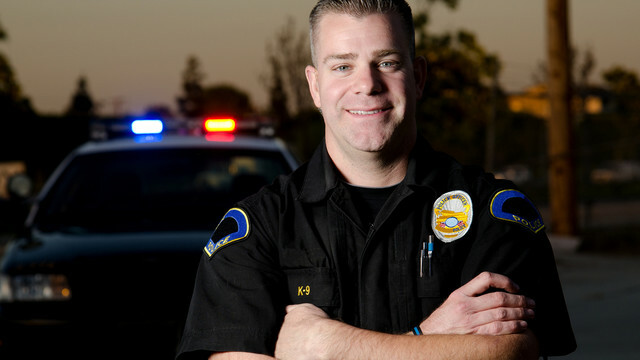 Even as part-time employees or contractors, police social workers can be a valuable resource in police departments, as they consult with police officers and answer questions as they arise. As drug addiction, mental illness, homelessness, and other epidemics affect communities across the country, police work and social work will continue to overlap. In 2016, over 42,000 people died from opioid overdoses, which is more than any year on record, according to the Centers for Disease Control and Prevention. This has resulted in police officers’ adoption of social worker and counselor roles, especially in areas where opioid abuse is highly concentrated. As opposed to simply arresting drug abusers, police departments are leading programs that help addicts find treatment and are partnering with local hospitals to initiate intervention strategies before addicts overdose. Police officers are even administering medication that can reverse overdoses to abusers. Sometimes, intervention goes beyond finding treatment for addicts, which means police officers take responsibility for finding the proper care for the children of addicts and providing counseling and support for family members. Police officers and social workers must collaborate to fight the widespread crises that affect families and communities. Police officers who utilize social work skills to inform their prevention and intervention strategies will be better equipped to help those in need and serve their communities.